When your friend is competing on the Food Network Gingerbread Showdown, you throw a viewing party. 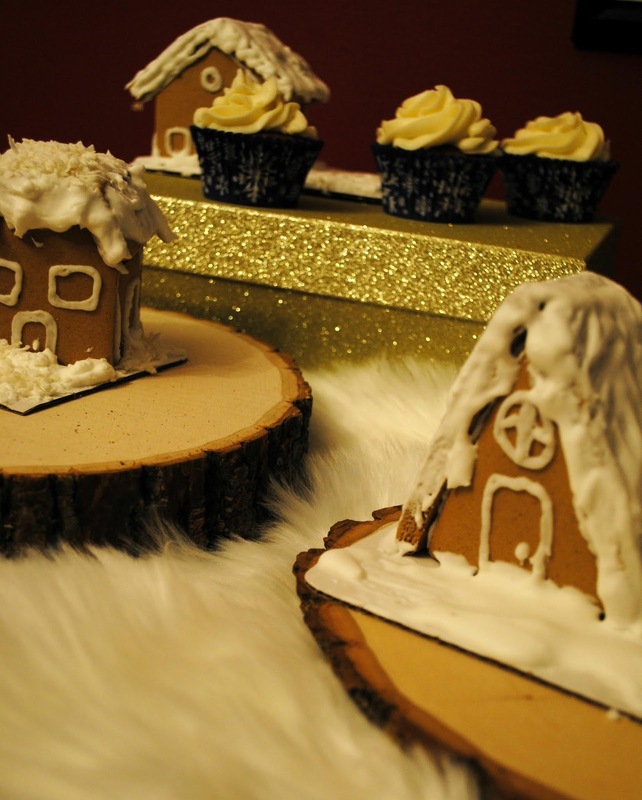 Complete with gingerbread houses and cupcakes. I watch Food Networks holiday food challenges all the time so I was SUPER excited to watch my friend compete. Only the best of the best get to compete on these shows. 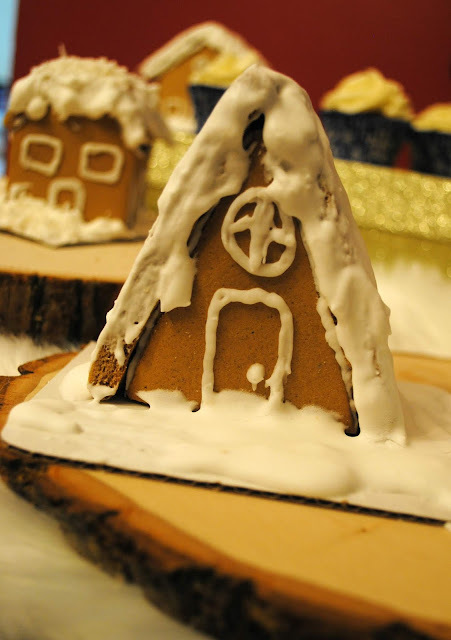 And my friend Tikkido has some serious gingerbread skills. I invited a few friends over to watch with me and you know I had to decorate for the theme. I picked up a Wilton boxed ready to make gingerbread house kit. I thought about making my own gingerbread to build a house but since I've never done that before and it was a busy holiday weekend, I saved myself some time and bought a kit. I had a few issues in frosting the houses. 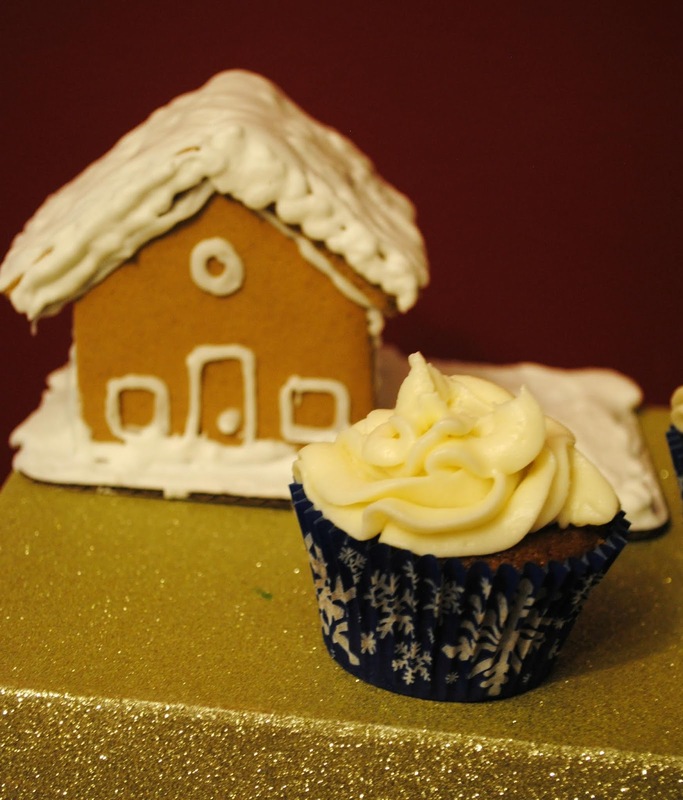 The kit comes with icing, piping bags and tips. I had no problems piping out the frosting for the 'glue' to hold the pieces together. When I went to pipe the doors and windows I was starting to have a little trouble. By the time I got to the roofs the icing did not want to come out of the bag. I squeezed hard and no icing would come out. I didn't want to squeeze too hard though because icing could have exploded every where. So I grabbed a new bag and tip and tried again. Again, it started piping ok and then froze. Sigh. 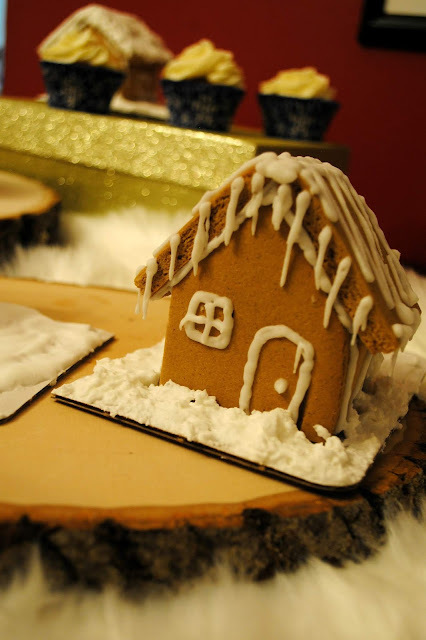 I had some sugar cookie icing on hand so I started spreading it with a knife to get snow on the houses and on the ground around the houses. Oh my goodness the cupcakes. Our house smelled so good while they were baking. I frosted them with cream cheese frosting and also filled the cupcakes with cream cheese frosting. I do love a cream cheese frosting. The recipe I used was from Live for Cakes. 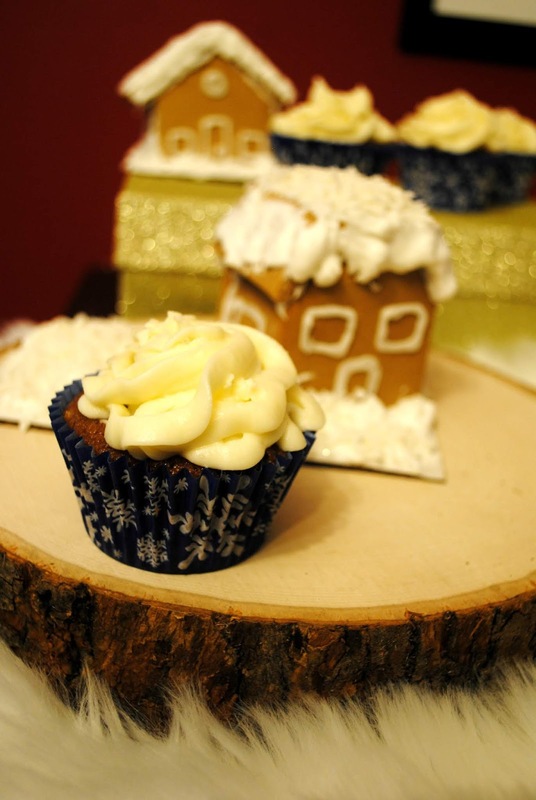 You may not be hosting your own viewing party but these cupcakes and gingerbread houses are perfect for a holiday movie watching party, a Christmas open house, gift wrapping party or just cause you want to hang out with your girlfriends. 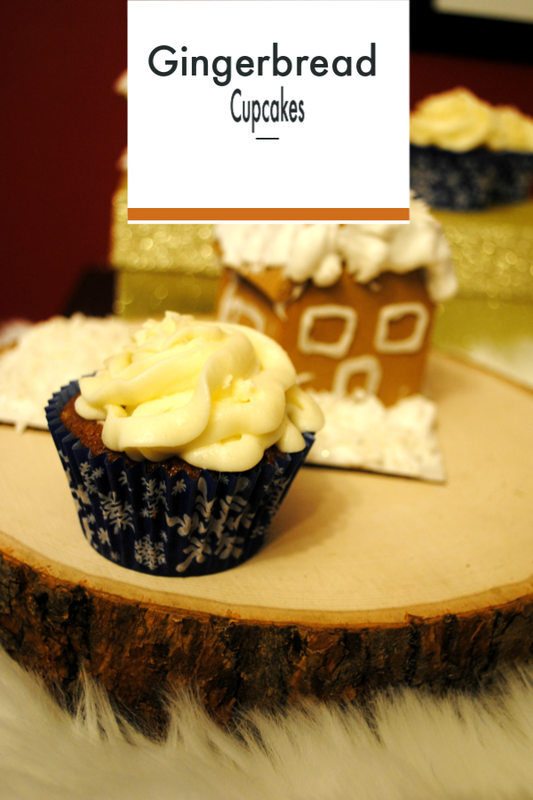 Get the best gingerbread house recipe and Tikkido's Gingerbread for Beginners book.